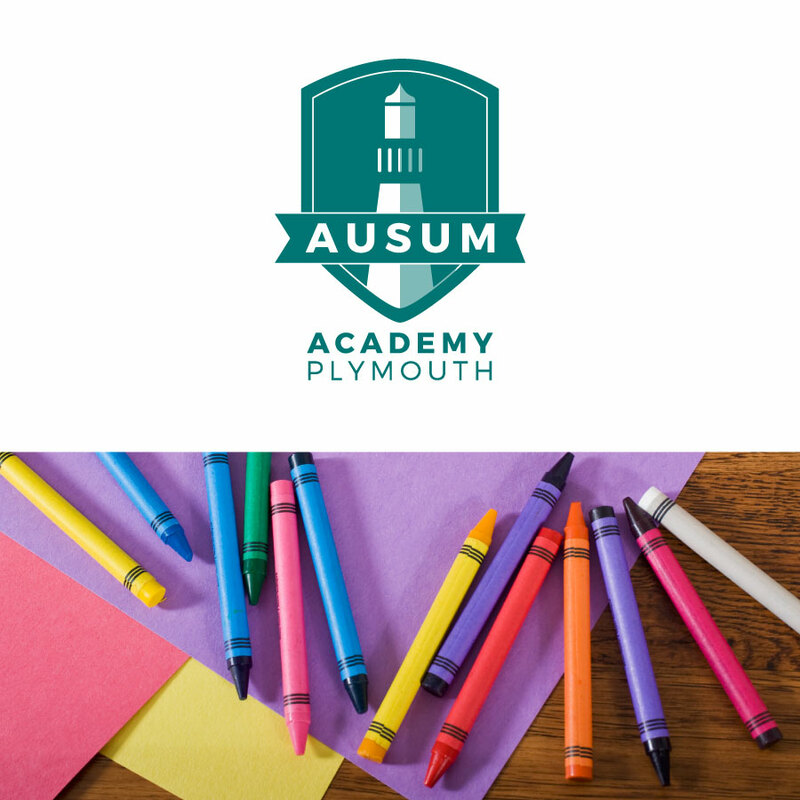 AUSUM Academy is set to open in Plymouth in 2017, providing a much needed provision for a Free School educating children with High Functioning ASD (Autistic Spectrum Disorder). These children would currently struggle in a mainstream school and the alternative Special Schools focus too much on learning difficulties or physical disability which wouldn’t apply. 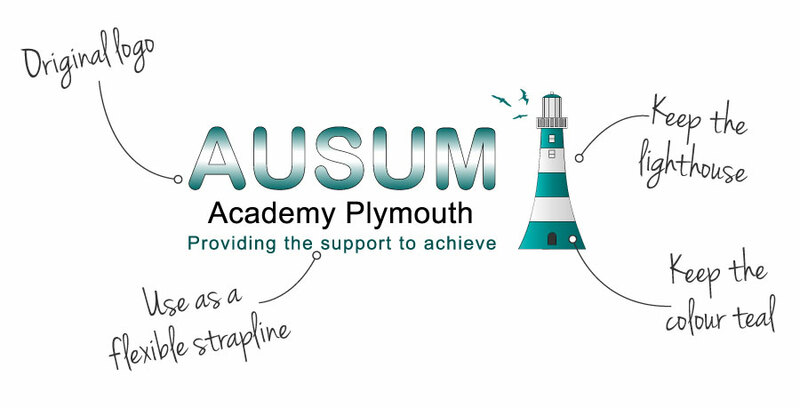 Currently AUSUM is in the application stage and the dedicated team behind the school need to prove that there is a demand in the local area. 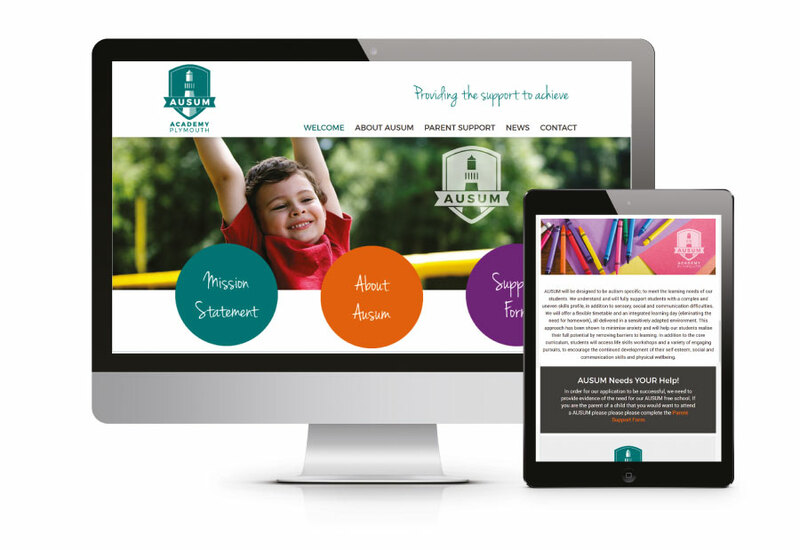 b:web have taken AUSUM under our wing and have donated a large amount of our studio time to provide brand identity, website and marketing strategy. 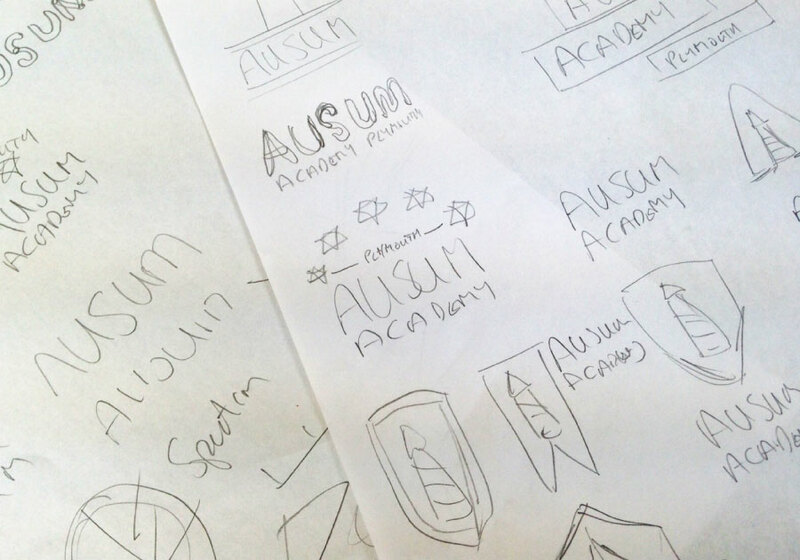 The development process for the AUSUM logo re-design was swift due to the need to promote AUSUM and gain parental signature for formal submission to the government within a short time-scale. 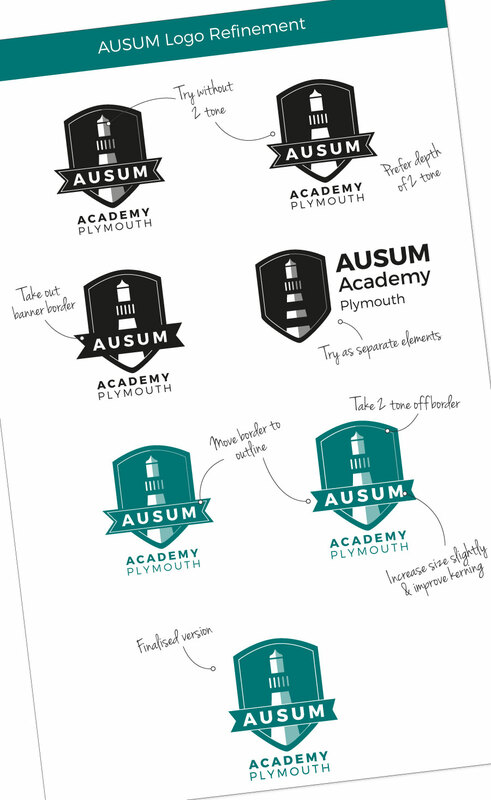 A pre-existing logo was supplied to us with just a few pointers as a brief, including the need to keep the lighthouse due to it being Plymouth’s iconic symbol as well as keeping the teal colour. Other than these prerequisites the logo design was open to interpretation. 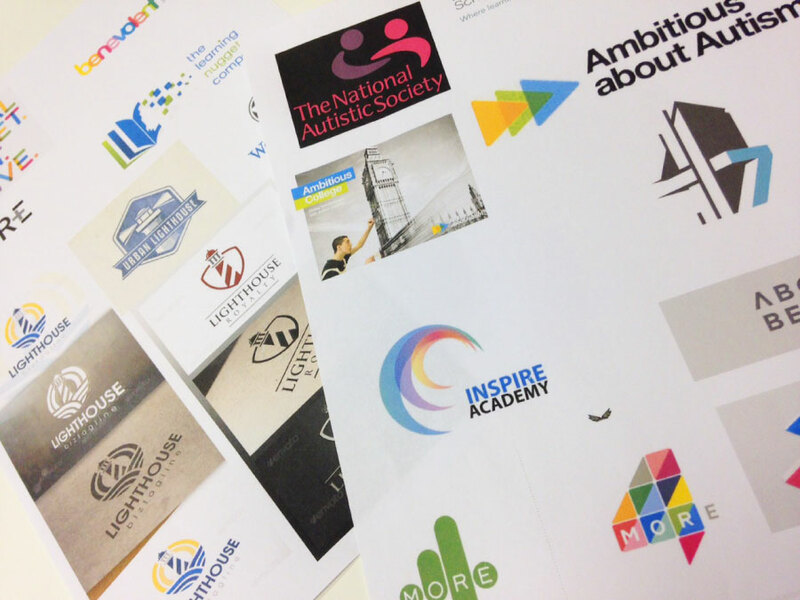 Part of any logo design process will include inspirational research along with competitive market research, so in this case we looked at existing Autistic charities and schools. The puzzle piece is the graphic element which has been adopted for most logo designs associated to Autism, this stems from the very original logo design for The National Autistic Society developed in 1963, it has since been updated so part of our decision process was to steer clear of this overused element. What we needed to achieve from the logo design was to develop a positive, supportive conceptual stanchion, representing a community of people who are directing all their efforts and talents in setting up this forward thinking free school to support children from 4 to 16 with ASD. A number of concepts were developed, with initial ideas approaching a much more free-spirited connotations but it was felt this is too far removed from the original logo design. When designing logo’s there are many aspects to consider and among them is how the board of directors/clients would embrace a new design and how to balance their expectations of a new logo whilst generating a design that is progressive and apt. Other concepts were developed around the idea of a flag or shield which delivers much more traditional attributes to school emblems in general. Fine tuning our favoured idea included many tiny amendments, this detailing is an essential part of developing a logo that works across multiple media, not only for their newly developed website but also future application to printed stationery, signage and promotional material. 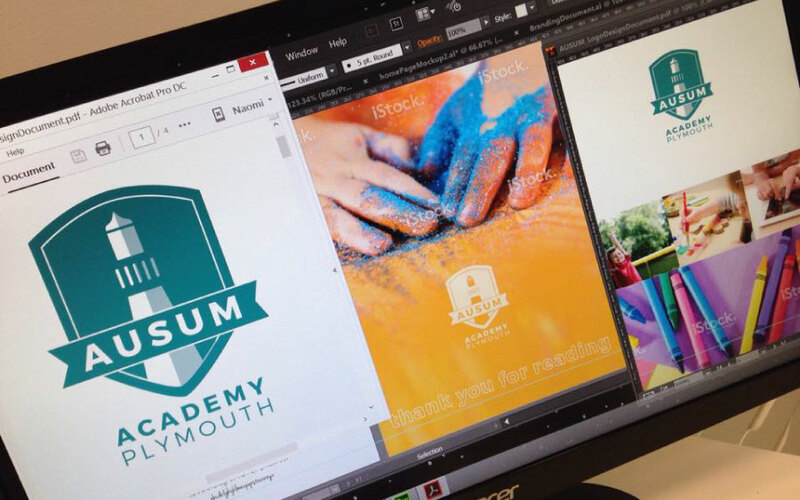 The resulting final emblem logo comprises aspects of a traditional school badge, with it’s location firmly routed to Plymouth. 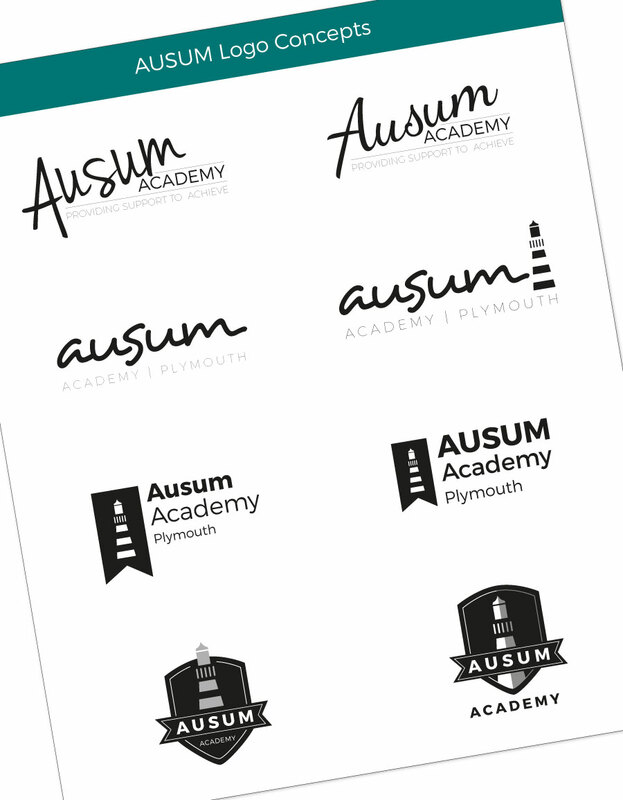 This well-developed logo implies a positive, strong vision of what the AUSUM Academy represents. We managed also to pull together a website in just a couple of days last week – but watch this space for a completely bespoke design to follow.